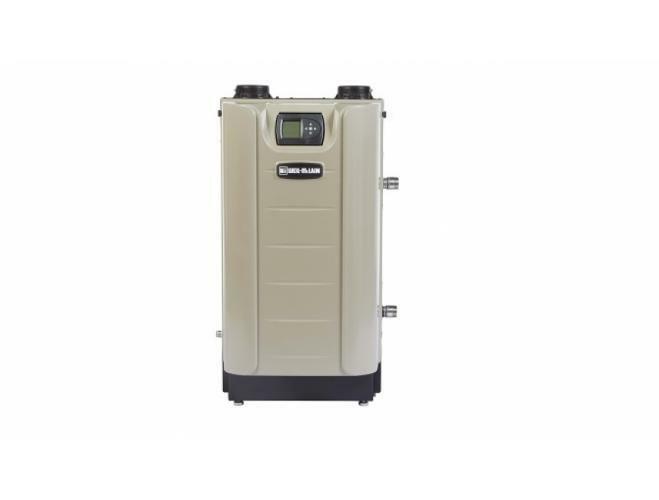 One of the most basic needs in commercial and industrial buildings is a high-performance, high-efficiency boiler to heat, boil, or vaporize water or some other liquid for use in a variety of applications, such as generating power, heating indoor air, or simply providing a hot water supply. 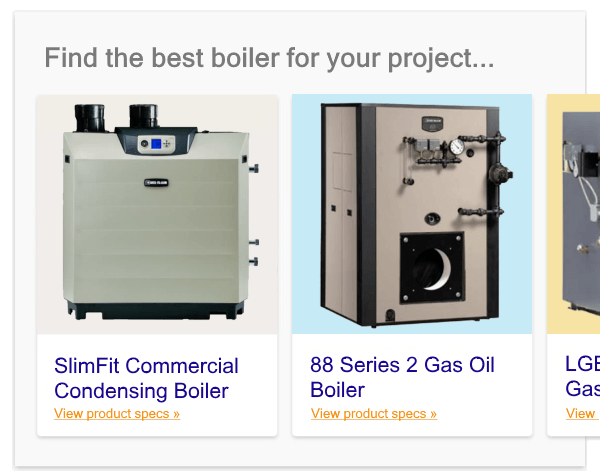 The SVF boiler offers the latest in thermal heating technologies to deliver everything you need in a complete and aesthetically pleasing package. Equipped with a proprietary, clover-shaped, firetube design — the SVF heat exchanger is bolstered by enhanced and surface area for optimum heat transfer to provide industry-leading thermal efficiencies up to 97.1%. In addition, the SVF features a Unity control system that combines user-friendly, intuitive design with advanced technology. 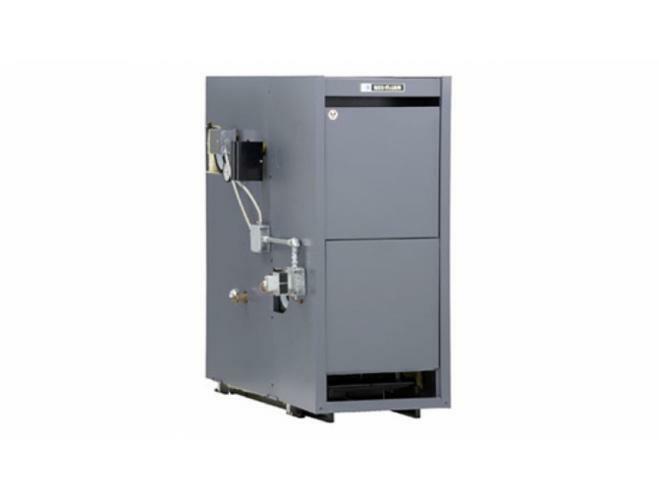 It has the ability to manage up to 8 boiler sequencing to meet a vast range of needs and system demands. The new SVF boiler is firetube performance...perfected. 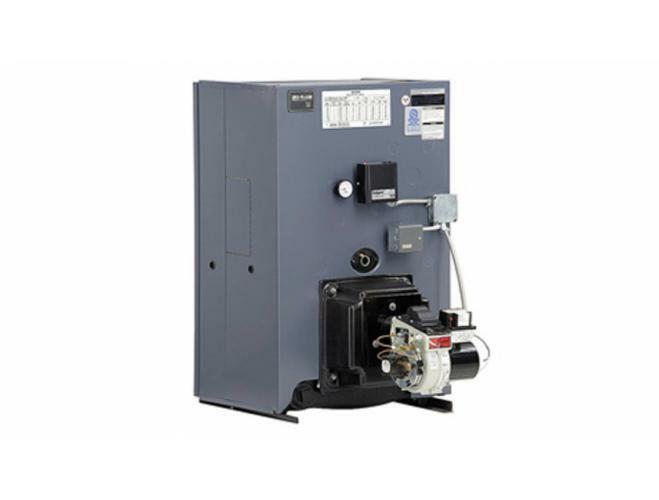 The Evergreen line includes 3 models of modulating condensing boiler with a 10:1 turndown. 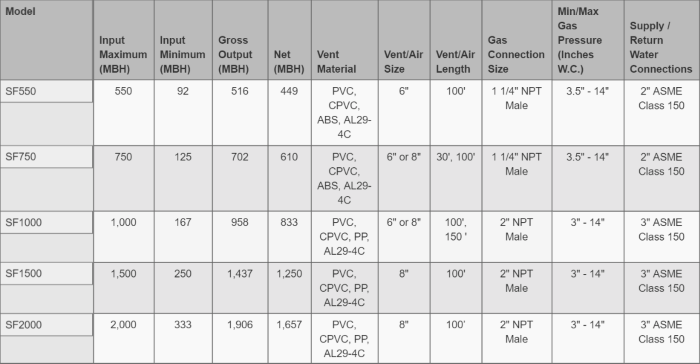 The models include the EVG 220, EVG 299 and EVG 399, which refer to their respective sizes (220MBH, 299MBH and 399MBH). 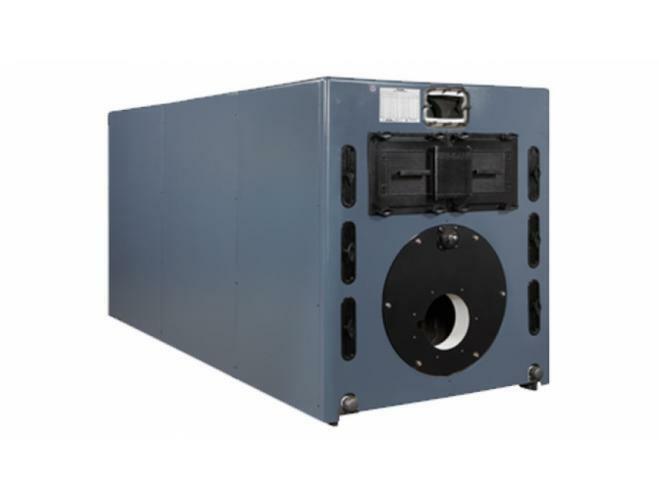 These impressive gas-fueled boilers feature a stainless steel fire tube heat exchanger and non-metallic base. They’re designed as a floor-standing boiler, but an optional wall mount kit is available if needed. 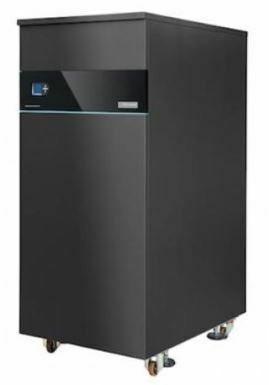 Notably, the Evergreen Gas Boilers have 95% AFUE (EVG 220/299 models) and 96.5% Combustion Efficiency (EVG 399). Uses gas and/or light oil for fuel, gets 80% thermal efficiency, produces water or steam, comes with/without a burner, has a convertible flue and is easy to install. Fueled by gas and/or oil, 85% thermal efficiency, water or steam, numerous settings, works with single/multi-boiler systems and with/without a tankless heater, and is 100% LEED compliant. The largest cast iron boiler in production of any manufacturer. 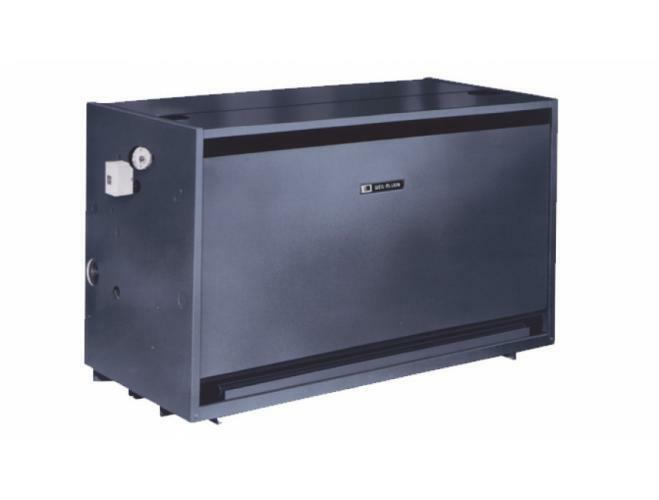 Runs on gas/gas and light oil, gas tight cast iron with strong cross-sections, 86.7% thermally efficient, hydro-wall design with maximum circulation, easy maintenance/assembly and up to 80 lbs. working pressure. 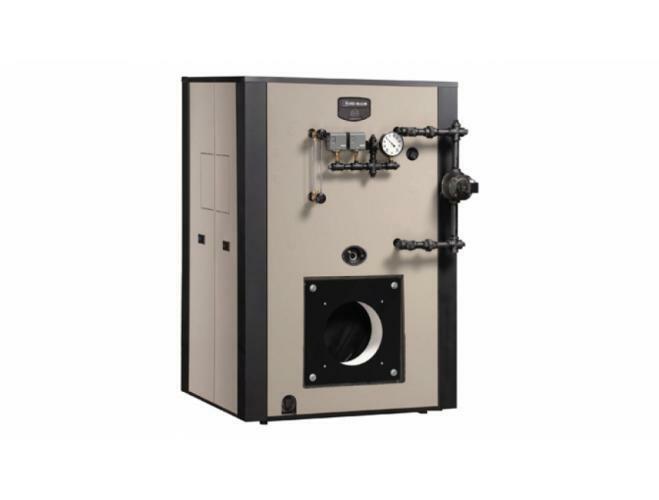 Gas-fueled with gas valve and regulator, cast iron construction with insulated steel jacket, water or steam, medium capacity that is ideal for apartments and smaller commercial buildings. 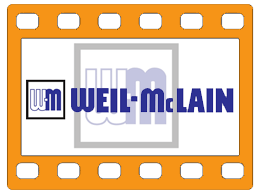 Weil-McLain's most efficient commercial cast iron gas boiler, a natural draft water/steam boiler, has built-in air separators, is highly compact to allow greater headroom, and assembly/installation are fast and simple. 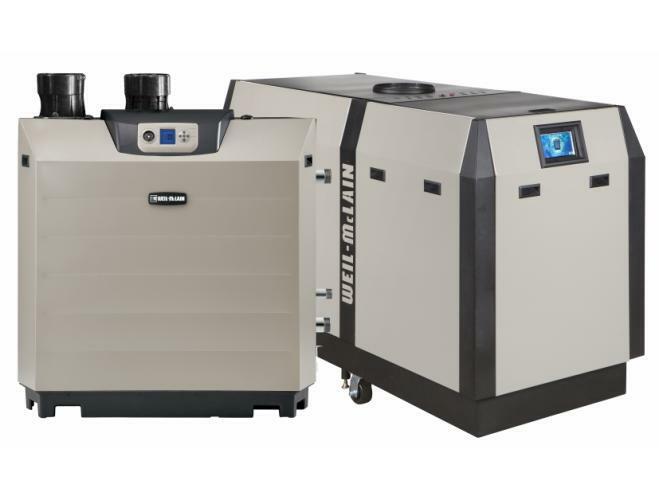 ATI can equip you with every variety of boiler and help you select the boiler with the output, efficiency, and specifications that work best for each application.